If I have to leave the house in a hurry with enough time to only apply one product, I would have to say mascara all the way. How else can you sweep on full flirty fringe in seconds creating a fab frame to your eyes? There’s a new type of mascara that uses “tube technology” and I love it. This revolutionary polymer formula forms actual water-resistant tubes around each lash making the mascara resistant to smudging, flaking or smearing. So even if it’s hot and humid or your lids get oily, there will never be a black messy eye in sight! 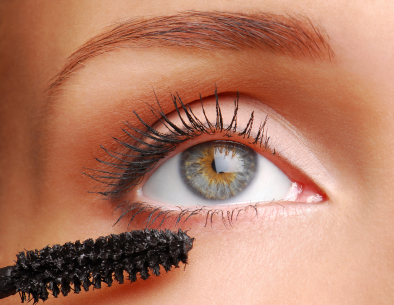 It’s perfect for the woman who has trouble keeping her mascara on all day. So if you look like a raccoon by 5 p.m., then this is definitely the product for you. It’s also perfect for older women whose lids may be a little lower than they once were and find that mascara winds up in little black speckles on the lid. I love sweeping it on the lower lash line because I know I will never see dark circles, only perfect lashes. If you accidentally smudge when you’re applying it, just wait until it dries and it literally flakes off. It doesn’t take a chisel to get it off either. Simply wash it off with a little warm water and facial cleanser and the tubes easily sleep off the lashes. There is no rubbing or scrubbing needed. Don’t freak out however when you look into your sink and see a bunch of little black lashes. The first time I tried it I thought all my lashes had fallen out and I nearly had a heart attack. This formula is actually better for your lashes in the long run because it doesn’t dry them out. My favorites are Blinc Kiss Me Mascara, L’Oreal Double Extend Mascara, Too Faced Lash Injection and, coming soon to a drugstore near you, Sally Hansen Natural Beauty inspired by Carmindy will introduce a fantastic natural version, so keep a smudge-free eye out!